Avoid the stress of organising flights and luggage! 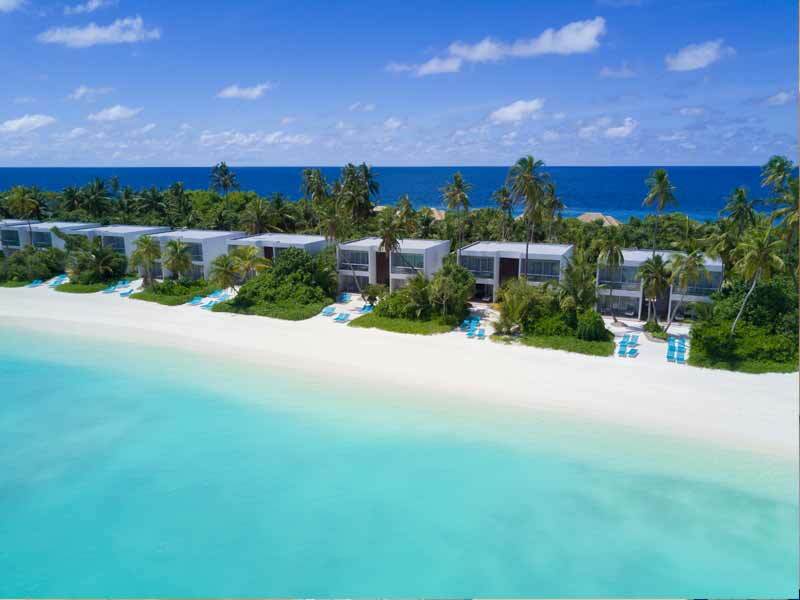 With return flights with Singapore Airlines planned for you and 30kg checked luggage included when you travel with My Maldives the only thing you will need to do is settle in and enjoy the flight! 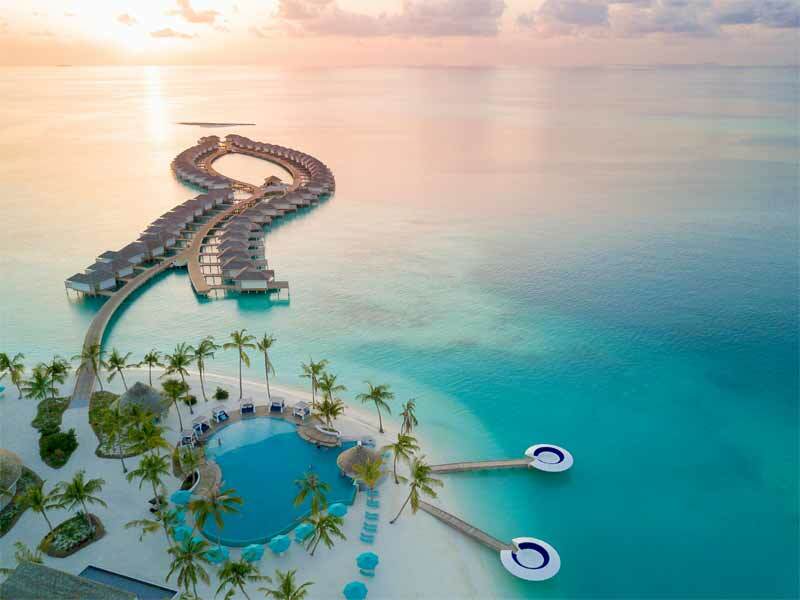 Spend more time enjoying the beauty of the Maldives and less worrying about organising transfers! 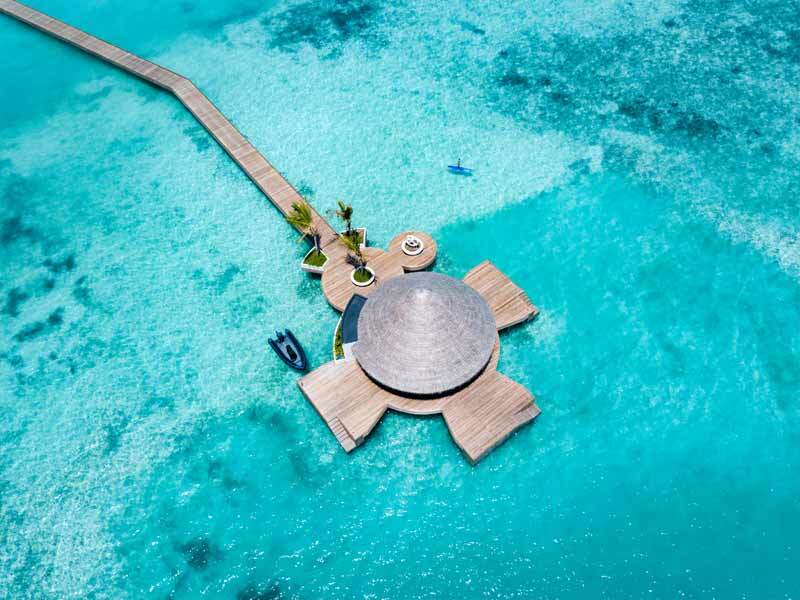 When selecting this My Maldives package, you will avoid that stress by being able to get to and from your accommodation with return domestic flight transfers, as well as return speed boat transfers! Ask your friendly consultant to upgrade your resort transfer from a Domestic Flight to a scenic Seaplane Transfer! Additional charges apply. Taking the kids doesn’t have to break the bank! Up to 2 kids aged 2 – 11 years can stay and eat for free! 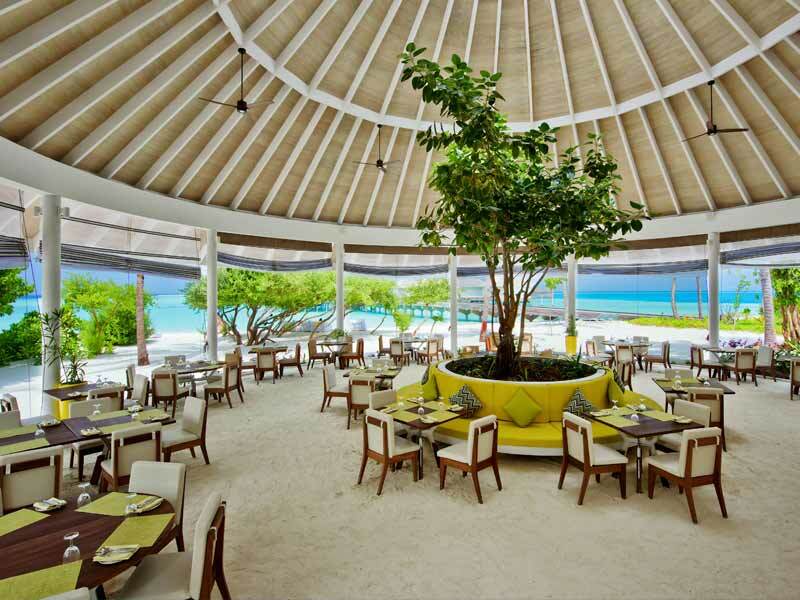 Two guests will enjoy 5 breakfasts, lunches and dinners at Flavour or Zest Restaurant while staying at Kandima Maldives! Start your day with a delicious meal that will provide you with the fuel you need for a day full of activities and relaxing. At midday enjoy a fresh, gourmet lunch, and in the evening, indulge your taste-buds in your choice of meal at Flavour or Zest Restaurant! Not only is breakfast, lunch and dinner included daily, you also receive complimentary soft drinks, juice, tea, coffee & water during meal times! 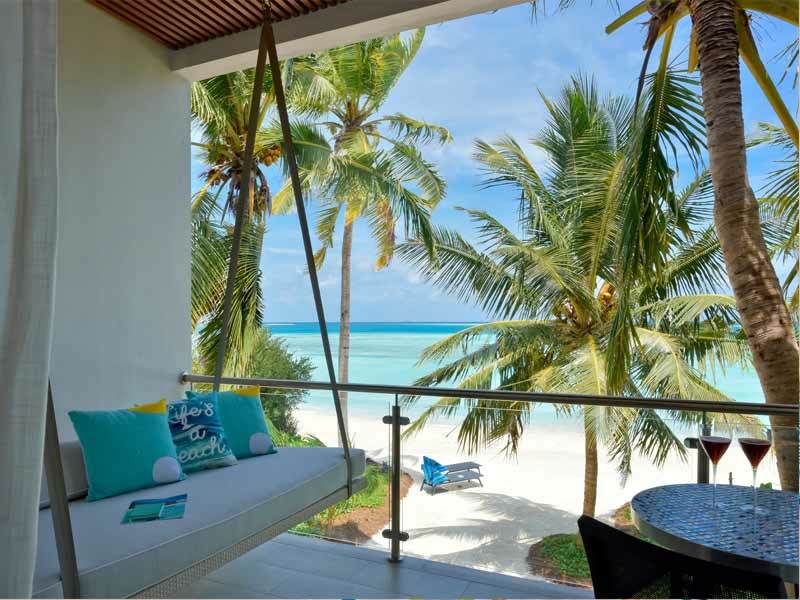 Don’t forget a minute of your My Maldives holiday with this complimentary 30 minute photoshoot. Make the best memories and take home the ultimate souvenir! As well as complimentary daily meals and selected beverages, also enjoy a 20% discount on food, beverage & spa purchases! We all get a little thirsty after a flight, right? 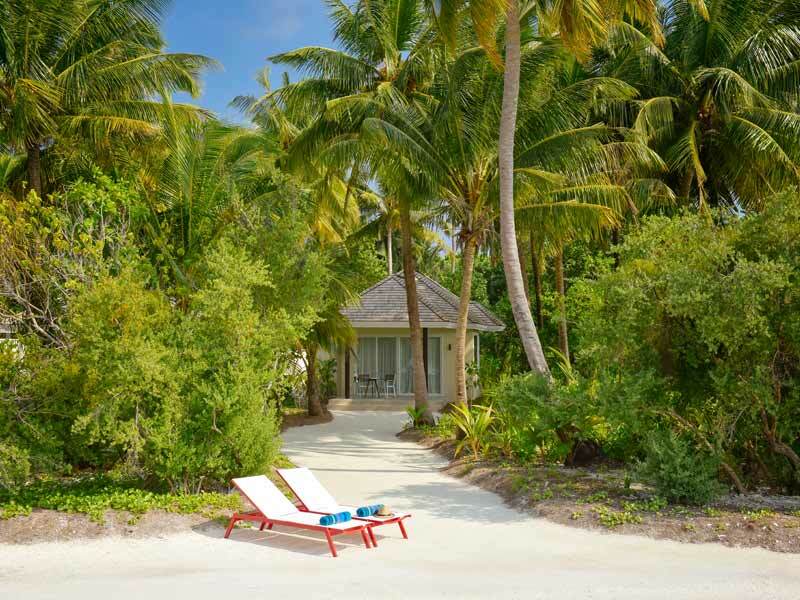 When you arrive at the Kandima Maldives there will be a refreshing cold welcome drink waiting for you! 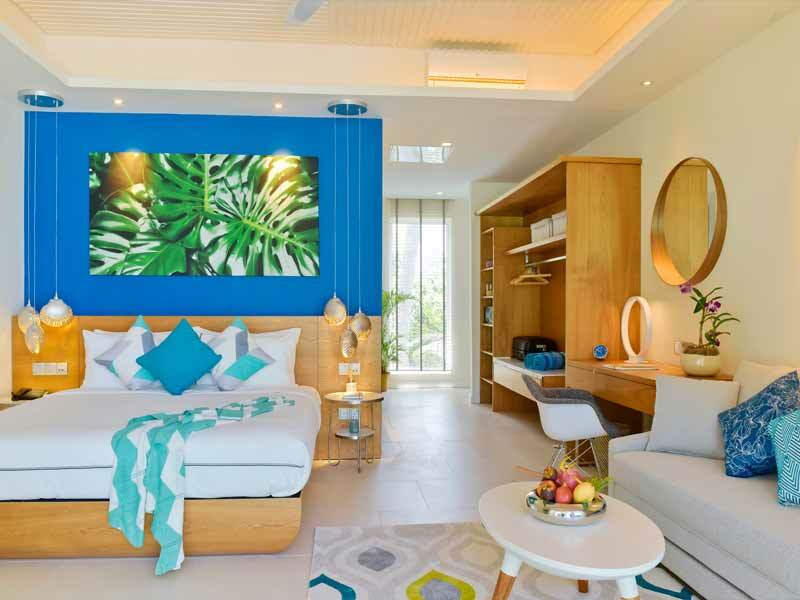 Beach Pool Villa with Jacuzzi – Upgrade to a Beach Villa from only $500 per person and receive a complimentary upgrade to a Beach Pool Villa with Jacuzzi! Upgrade guaranteed upon check in. 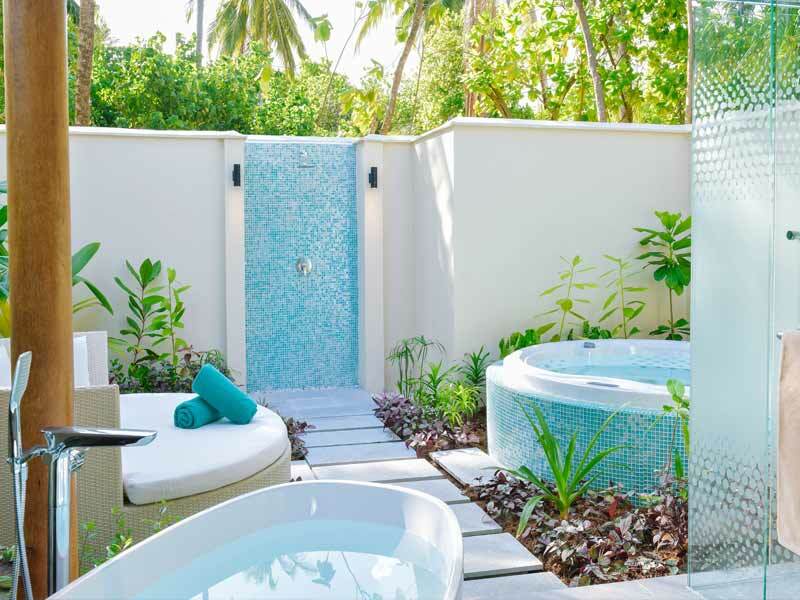 Aqua Overwater Villa with Jacuzzi – UPGRADE to an Aqua Villa from only $650 and receive a complimentary upgrade to an Aqua Villa with Jacuzzi! Upgrade guaranteed upon check in. 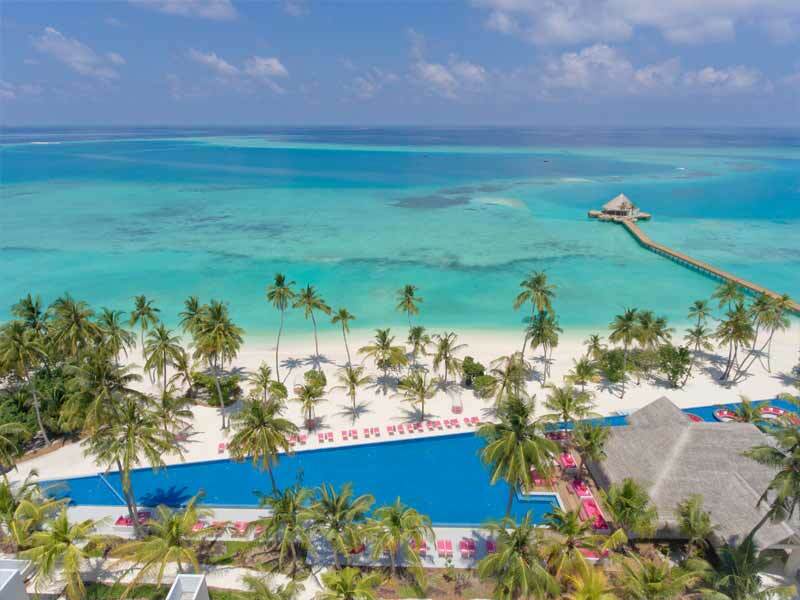 Nestled amongst the palm trees and surrounded by pristine white sandy beach and peaceful azure water, Kandima Maldives is the perfect spot for an island getaway. 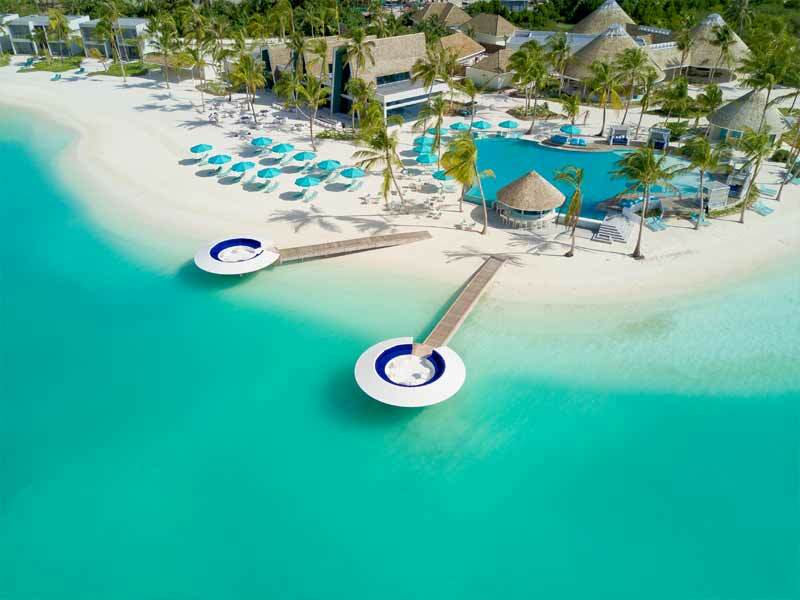 The resort is set right on the beach and you have access to a huge range of fun activities during your stay. 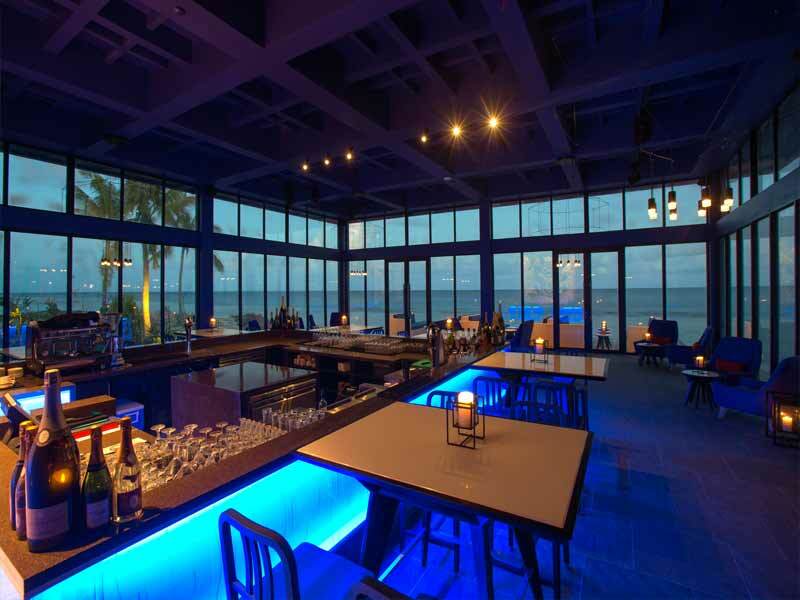 With a myriad of dining and entertainment options spread across 10 restaurants and bars, you will find something to suit every taste. 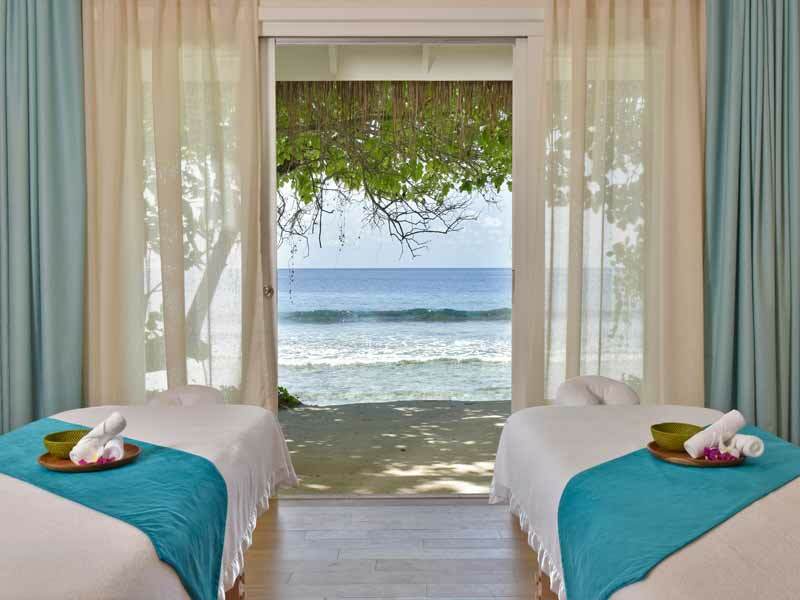 You will love your unforgettable time at this amazing island paradise. 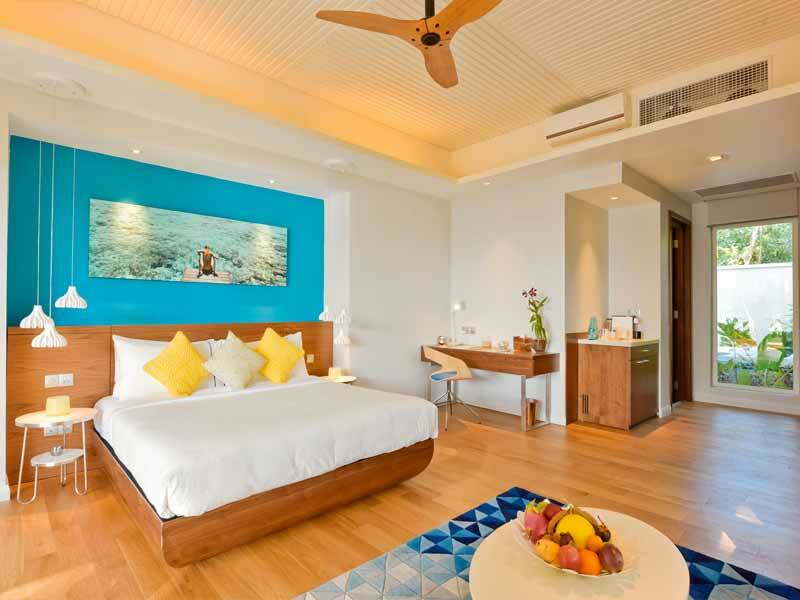 Read more about Kandima Maldives here! 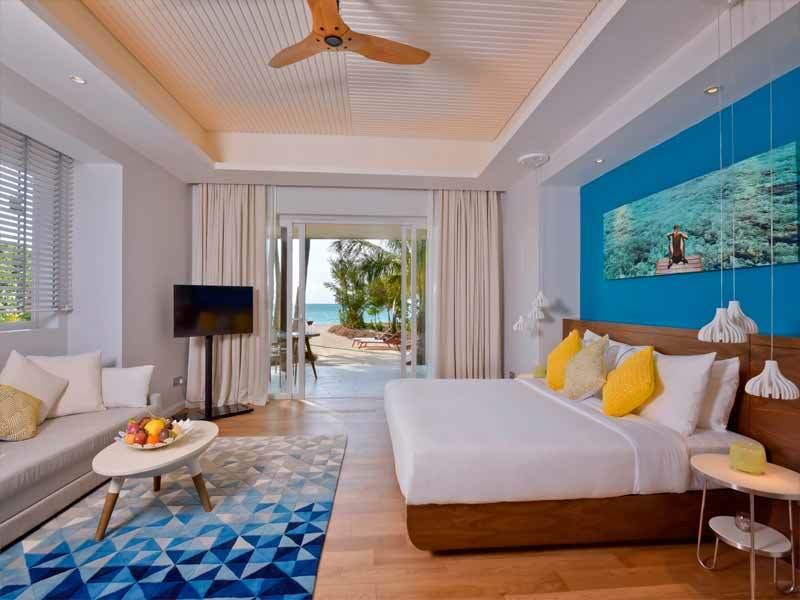 ^^DOMESTIC FLIGHT OR SEAPLANE TRANSFERS: 1 night of accommodation in Male may be required if your international flight arrives outside of domestic flight and sea plane transfer operating hours. This is not included in the package price. 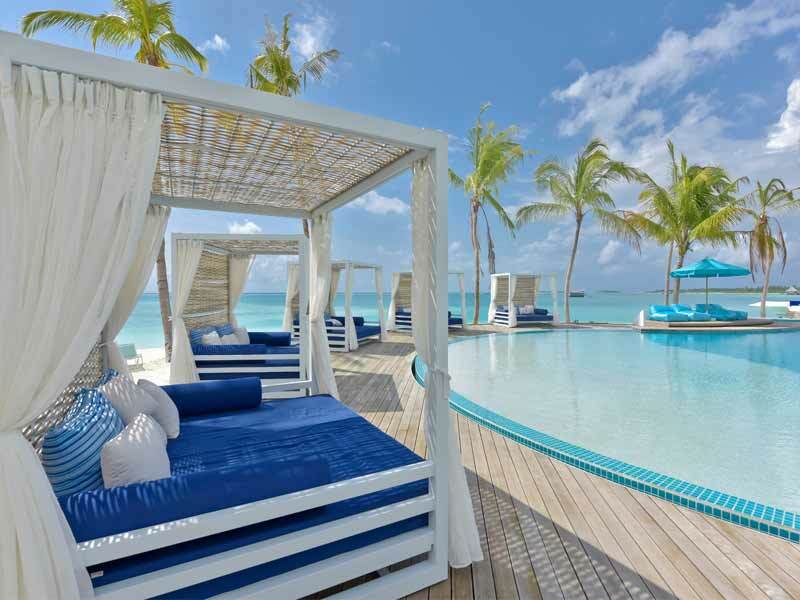 If you would like to know more please speak to your My Maldives specialist. 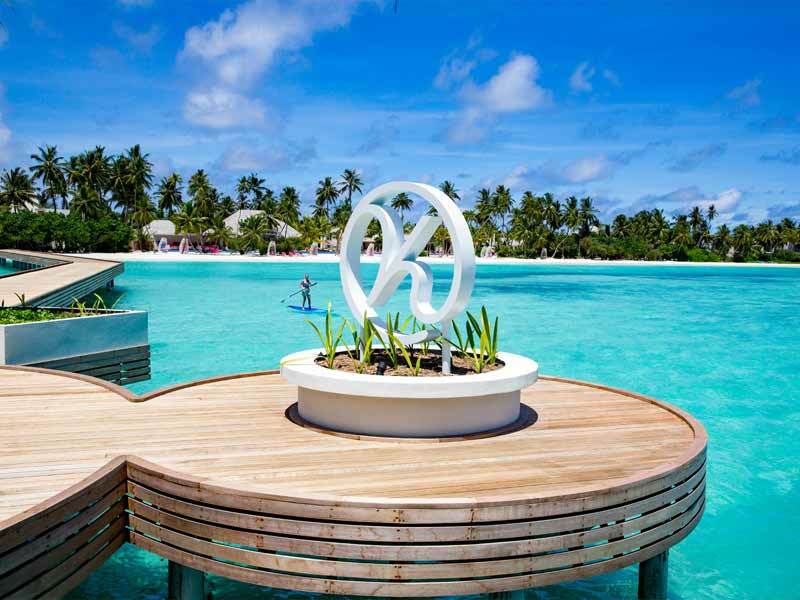 After arriving at Male’ International Airport, the island is accessible by a short 30-minute domestic flight to the Dhallu Atoll domestic airport, followed by a 20-minute boat ride. 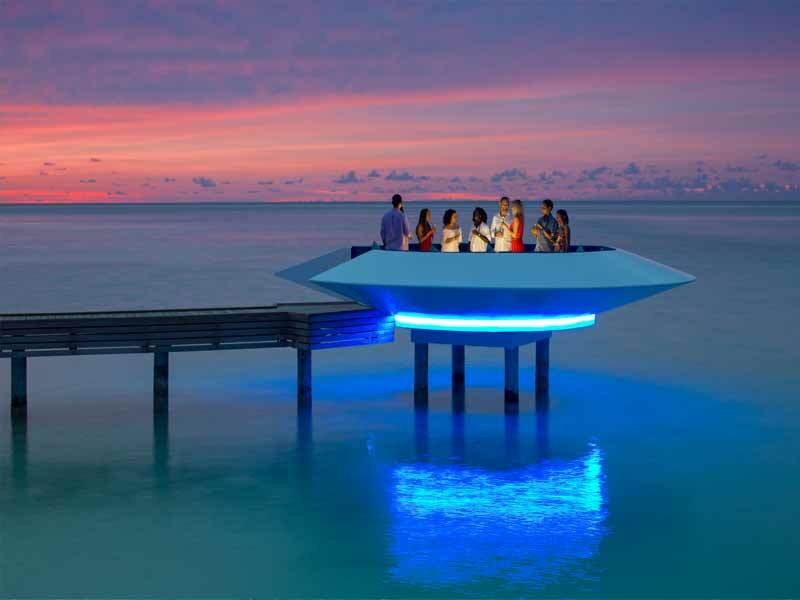 Alternatively, take a scenic seaplane directly to Kandima Maldives. 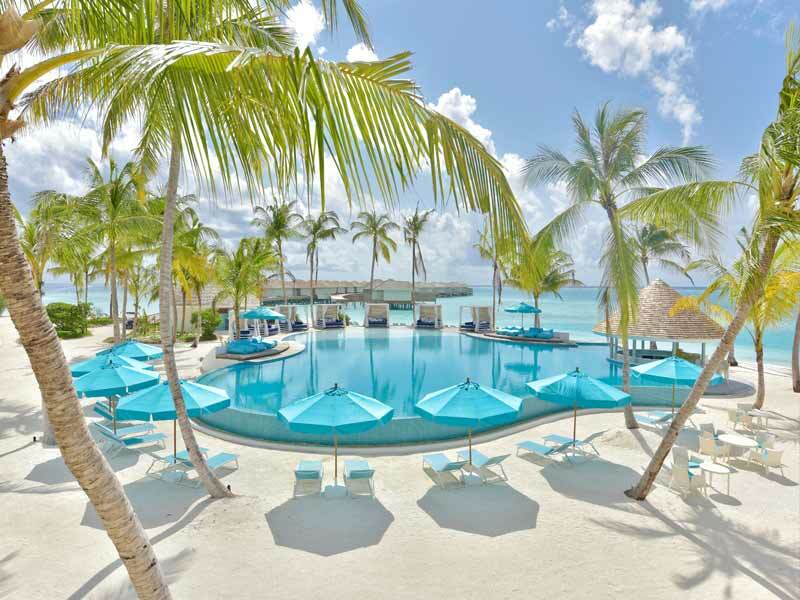 #Kids Stay & Eat FREE: Up to 2 children stay free and eat free on same board basis as parents. Green Tax is chargeable.